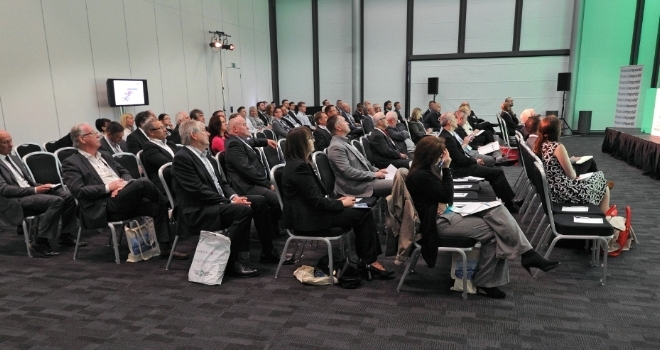 "We are looking forward to a fully-packed programme of seminars, plus delegates will have the chance to meet a significant number of lenders, both residential and specialist"
Financial Services Expo Wales has revealed the full seminar programme for the event at the Celtic Manor Resort on Wednesday 27th June. • From second-charge to later life – specialist lending panel featuring Mat Beecham (BM Solutions), Neil Molyneux (Masthaven Bank), Emily Machin (OneSavings Bank), and James Young (Hodge Lifetime). • Mortgages and technology: how does technology improve the lives of mortgage brokers? Nicola Firth of Knowledge Bank takes a closer look at the transformational impact technology can have on the mortgage advice profession. • The view from the mortgage market – residential mortgage panel featuring Paul Weatherhogg (Metro Bank), Simon Read (Magellan Homeloans), Liz Syms (Connect Mortgages), Charlotte Grimshaw (Family Building Society) and Craig Flinter (Atom Bank). FSE Wales will provide adviser visitors with access to over 40 of the industry’s biggest exhibitors including both mainstream and specialist lenders, distributors, networks, insurance providers, technology companies, and many more. Lenders attending FSE Wales include sponsors One Savings Bank and Metro Bank, plus Accord Mortgages, Barclays, Coventry Building Society, Family Building Society, Foundation, Kensington, Keystone, Magellan, Masthaven, Nationwide, NatWest, New Street, Paragon, Secure Trust Bank and The Mortgage Works. Advisers and brokers can register for the one-day event by visiting www.financialservicesexpo.co.uk/wales/. James Prosser, managing director of Front Events, organisers of FSE Wales, commented: “This is our second year hosting FSE Wales at the Celtic Manor Resort and we are looking forward to a fully-packed programme of seminars, plus delegates will have the chance to meet a significant number of lenders, both residential and specialist, all under one roof. “Our seminar programme is very much focused on the lending opportunities available to advisers, whether that is in the mainstream/residential space, through to the growing number of specialist opportunities that currently exist be those buy-to-let, later life lending, second-charge, and many more. “We have a range of lender representatives available to take delegates’ questions and to discuss how advisers might get the most out of these sectors, how they can tap into the growing demand, and where they can position their firms in order to be best placed for clients in these spaces. Plus I’m sure the ongoing debate around the FCA’s Mortgages Market Study Interim Report will be on the minds of all market stakeholders and it will be interesting to hear the views of the lending fraternity on the measures detailed within it. “The seminar programme also covers technology with a look at how it can strengthen and transform client relationships, where it might be heading in the future, and what the threats and opportunities may be over the longer-term.